When you hear the word “cosmetic,” you may think of an unnecessary and costly procedure. However, in the world of cosmetic dentistry, improving the appearance of your teeth can also improve your oral health and overall wellness. Dental bridges replace missing teeth with artificial ones, effectively “bridging” the gap. These bridges may be permanently attached to surrounding teeth for support (a “fixed partial denture”) or they may be removed for cleaning. With the former option, only a dental professional like Dr. John Aurelia can remove your bridge. 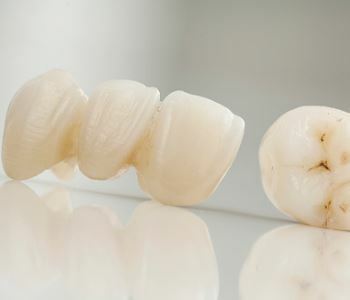 Traditionally, opting for a bridge to replace your missing tooth meant otherwise healthy teeth on either side of the gap were filed down to make way for the crowns that anchor the new tooth. Implants are attached directly to the jaw or under the gum. 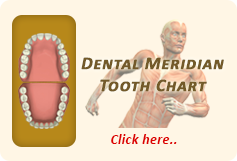 There is no need to file down adjacent teeth. While these procedures are still considered “cosmetic,” bridges have a vital purpose to replace damaged teeth that were pulled or can’t be saved with a root canal. Another aesthetic fallout of missing teeth is the lack of support causes your face to sag, aging you. Bone loss impacts all the day-to-day activities you take for granted – from how you eat to how you speak. Insurance may pay for those phases of treatment deemed “necessary,” and with potential negative effects for other parts of your mouth. After all, as these problems progress, conditions only get worse (and cost more to correct). Even if your policy doesn’t cover the procedure or you don’t have insurance, we can help you get affordable dental bridges. Rochester Hills’ residents have access to payment options such as CareCredit to stretch costs over several months, and often at no-interest if paid off within a specified time, usually 12 months. Call John L. Aurelia, DDS, PLLC at (248) 651-6810.